CITRUS, all varieties of citrus are in abundance this time of year. 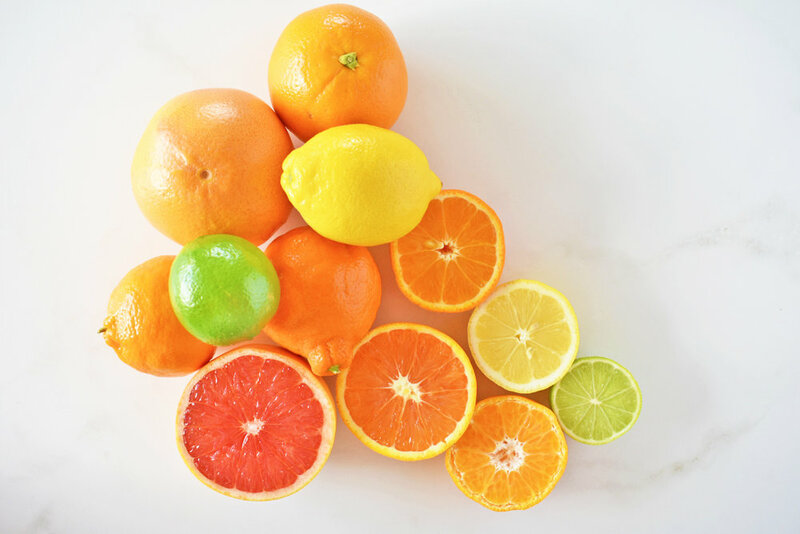 Whether it be oranges, mandarins, lemon, limes, tangelos or grapefruit, all have their own unique appearance and flavour. Try substituting common citrus varieties with their more exotic cousins. Storage: Tangelos can be stored at room temperature for up to 2 weeks, longer under refrigeration. Uses: Tangelos are perfect to use in cordials, cakes, curds and citrus compotes. PINK GRAPEFRUIT, sometimes called ruby red grapefruit, are smaller than yellow grapefruit with a pale orange skin and orange-pink flesh. They are slightly sweeter in flavour than the yellow variety, with a thinner skin. Pink grapefruit are available from August-October. Storage: Grapefruit will only keep at room temperature for a couple of days, but up to 2 weeks in the refrigerator. Uses: Pink grapefruit can be used in marmalade, drinks and cocktails, and savoury salads.